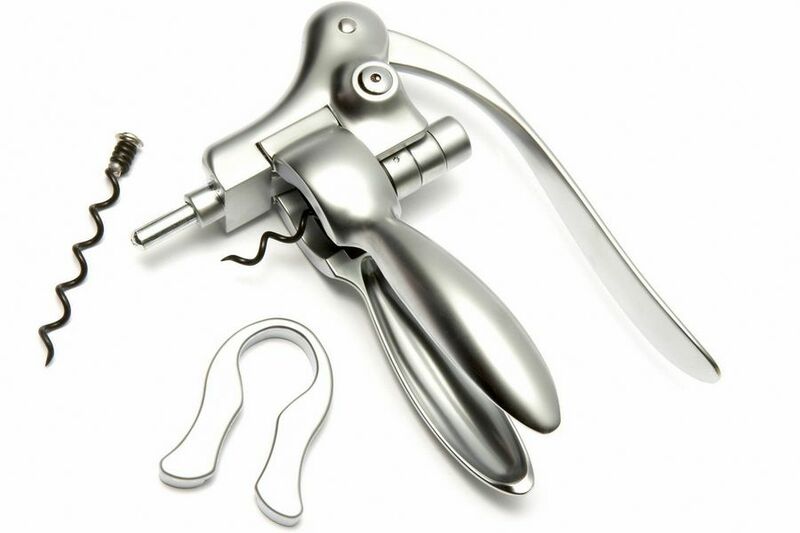 A fancy looking chrome plated wine opener, this Pinzon Matte Chrome-Plated Corkscrew incorporates the butterfly mechanics, but only half, I usually refer to these types of openers as broken butterflies, these type of openers do look great, and if made correctly will work extremely well, especially when they are made of metal, and this one from Pinzon is chrome plated, it is well suited as a gift, unlike the other plastic one. Using this is fairly simple, first remove the foil with the ever present foil cutter, all you have to do is fit it around the neck of the bottle, give it a little squeeze and twist it around, before you know it, the foil is off. Now for the opener, just grip the clamps on the bottle and with a slight raise of the lever it bores the worm, but not just any worm I may add, this worm is coated with Teflon, that’s the things you usually find on non stick pans, this means your worm is never going to rust, unless you scratch off this coating, so after you have lifted the lever to its maximum angle you just push it back down, and the cork has been extracted. 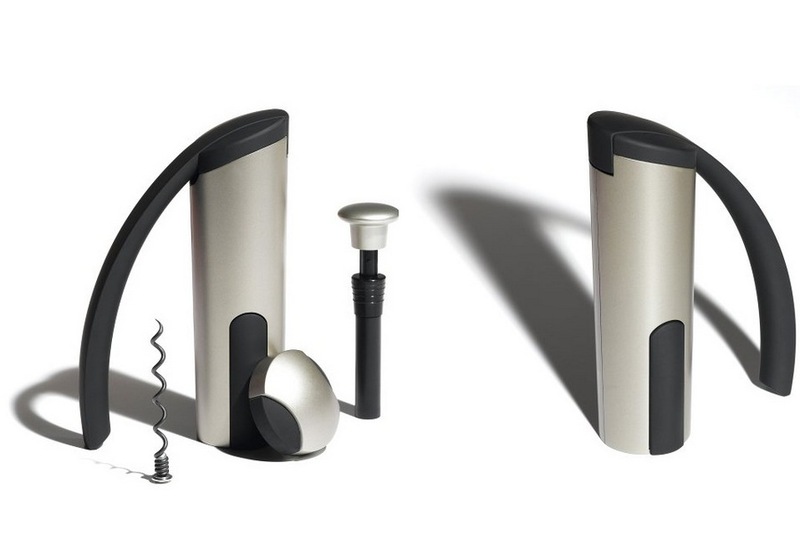 A few users on Amazon complained that they had to twist the cork off the worm with their own fingers, now I don’t want to seem like a terrible individual who loves to ridicule other users but seriously removing cork from the opener is exactly the same as removing it from the bottle, only difference is you raise the lever all the way and grip the cork with the clamps, and lower the lever, simple as that. However there comes one really bad downside for this Pinzon Matte Chrome-Plated Corkscrew, the worm is somewhat a fragile bit to the opener, now you don’t have to be a rocket scientist to know that the strongest things on wine openers should be the connection between the body and the worm, and also the spirals, but it seems that the spirals do not last as long as the ones on larger worms, but don’t be too worried as it comes with a replacement worm. Also the entire body feels very flimsy, although it’s metal and chrome plated, if you shake It around you can hear it rattle just like a wind chime, these loose ends are a definite signal that it won’t last long. 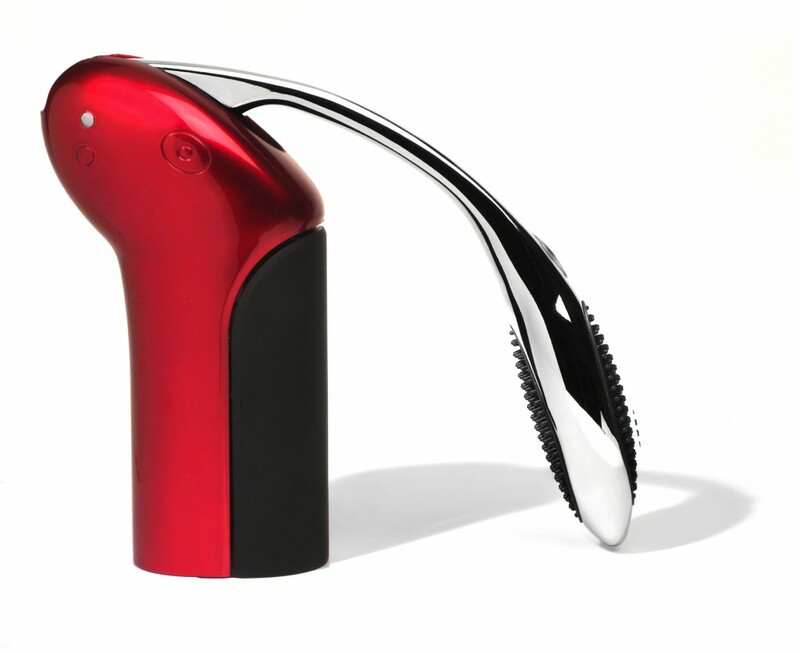 I would recommend this Pinzon Matte Chrome-Plated Corkscrew to those who won’t be using it often, but for those looking in long term reliability its best to bet on a sommeliers knife.